Then comes forming the figure with self hardening clay. 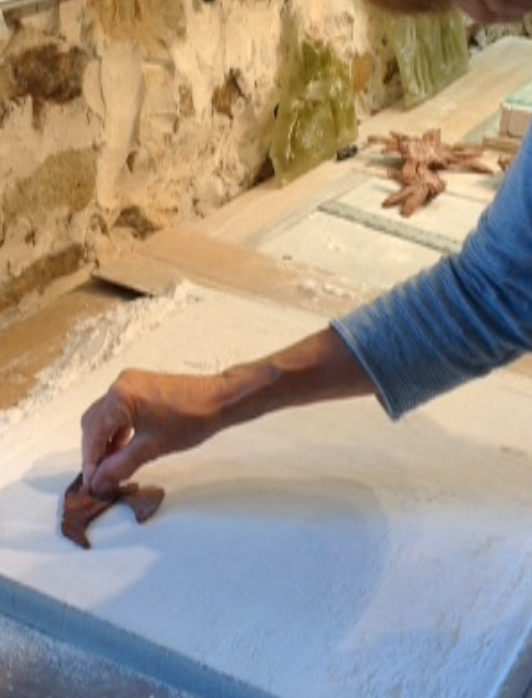 Next the clay forms are pressed into dry plaster which is contained with strips of fiber board on a kiln self. Two sheets of glass are placed on top of this construction. Sometimes the glass carries color in the form of glass crystals called frit. 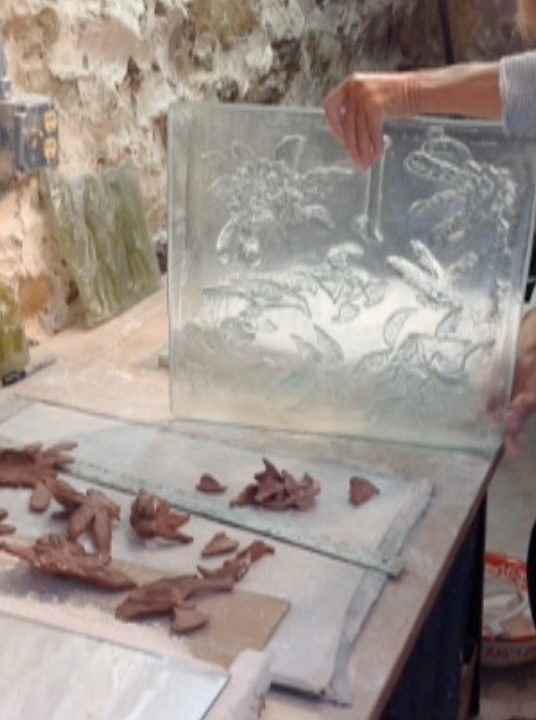 During firing the glass flows down into the pressed shapes. Once cool and rested the excess glass is cut away from the cast figures. 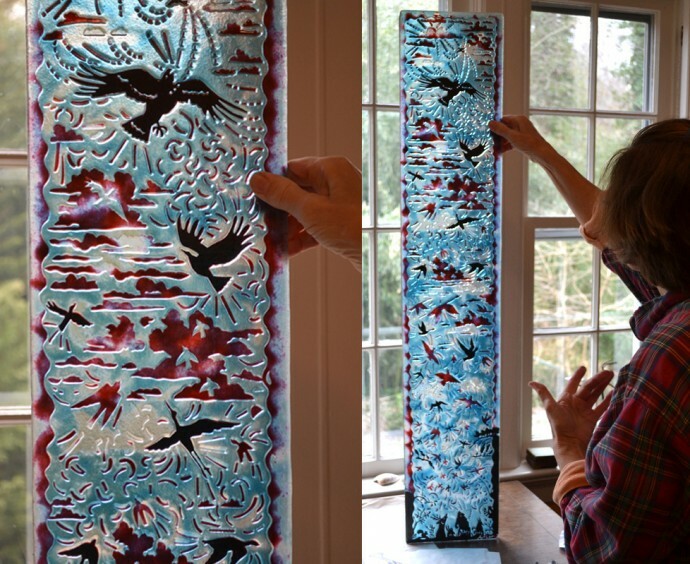 ...and they go back in the kiln to fuse the paint and polish the edges. Sometimes accessories are added. Lately that has meant using copper wire or foil or even shapes acid cut out of my used copper etching plates. The last step is planning the exact posture and positioning of the figures and making a paper template to guide the installation. Then the mounting stand-offs are adhered to the backs of the shapes.